With its picturesque location on the banks of the River Slaney, Tullow is a lovely example of a traditional Irish Town and is known locally as the granite town because of the fine stone used in its walls and public buildings. Tullow was a location of ecclesiastical importance from at least the late fifth century when a monastery was founded by St. Fortiarnán (Fortchern). No traces of this remain although the large granite cross base and font in the churchyard of the present St. Columba’s Church of Ireland parish church may have been associated with the early monastery. An Augustinian Friary was founded in 1314 on the south side of the River Slaney. There are no remains apart from the head of a solid-wheeled cross with mouldings and projecting arms with decorative work and a holy well surmounted by a cross head within the graveyard. Tullow’s enduring connection with ‘Brave Fr. 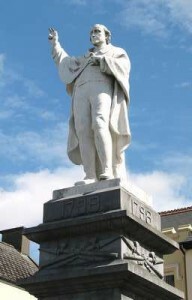 Murphy’ of Boolavogue, Co. Wexford is commemorated by a fine statue in the town square. Described as the most wanted and notorious insurrection leader of the 1798 rebellion against British rule, Fr. 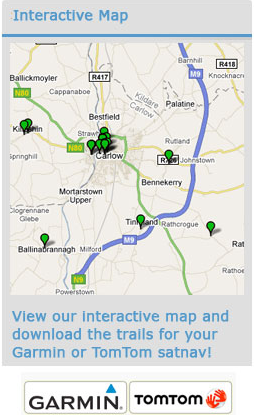 Murphy was executed in Tullow. He endured a public and humiliating death by hanging in the market square. According to the local Nationalist newspaper in 1905 when the monument was unveiled, “it is doubtful if throughout the whole of provincial Ireland such a large assembly of nationalists has been witnessed in recent years”. The famous song Boolavogue is dedicated to his memory. During the early years of the nineteenth century, Daniel Delany, Bishop of Kildare and Leighlin, saw education as a pathway to a fuller and better life for all. To progress his vision he founded the Brigidine Sisters in 1807 and the Patrician Brothers in 1808. 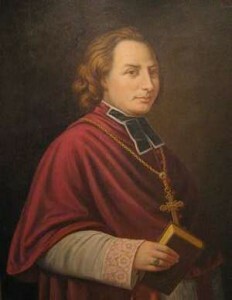 He also founded the present Catholic Church of the Holy Rosary. The church was dedicated in 1805; the tower and steeple were added in 1833. 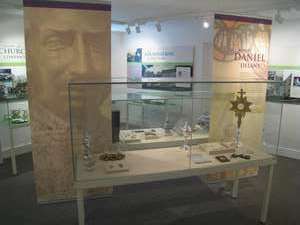 The fine Bishop Daniel Delany Museum in the Brigidine Convent gives a history of these orders and displays artefacts associated with the bishop. During the 1960s Cork born Patrician Brother Colm O’ Connell was educated at the Patrician Colleges of Mount Wolseley and Ballykealy. Since 1976 he has been based at their school in Iten, Kenya from where he has trained more international and Olympic athletes than any other school in the world. Open: Please phone the Brigidine Convent in advance of your visit. T: 059 9151308. Other sites daily, daylight hours. 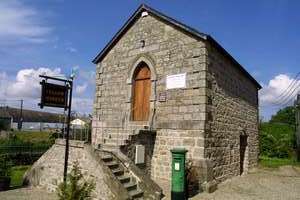 Housed in an attractive, stone built, former Methodist church at the River Slaney Bridge. Tullow Museum features a splendid collection of artefacts reflecting local history, in particular Fr. Murphy’s connection with the town, including what are alleged to be his last vestments. The museum also features a collection of local photographs and information on burial grave stones. The museum welcomes any information or artefacts for display purposes especially photographs (on loan or for gift). Open: Until the end of October: Sundays and Bank Holidays 2 – 5 p.m. Tuesday, Wednesday, Thursday and Friday 2 – 4 p.m. Closed Monday and Saturday. Other times by appointment. T: 086-3416919 (during opening times), 087-2383515 (anytime). Parking: in the centre of the town.